The CA Assembly Blue Ribbon Commission (BRC) on Early Childhood Education seeks to improve the child care system by putting system reform ideas into action. As part of this process, the BRC is drafting a report with a set of recommendations to improve the child care system. The BRC believes that parent input is critical for drafting recommendations that are authentic and that will truly make a difference in the lives of California’s parents. Therefore, Parent Voices partnered with Social Policy Research Associates (SPR) to talk with and listen to parents in order to understand what they believe is needed in order to improve California’s child care system. Parent Voices and SPR see parents as experts around child care reform and conducted this project to bring parents’ wisdom to the BRC’s report and subsequent recommendations. To bring parents’ perspectives to the BRC, Parent Voices and SPR conducted four focus groups across California in the following areas: Inglewood/Los Angeles, San Fernando Valley, Fresno, and the Bay Area. At the BRC hearing on March 11th, 2019, SPR and parents presented the following findings and recommendations from the report. 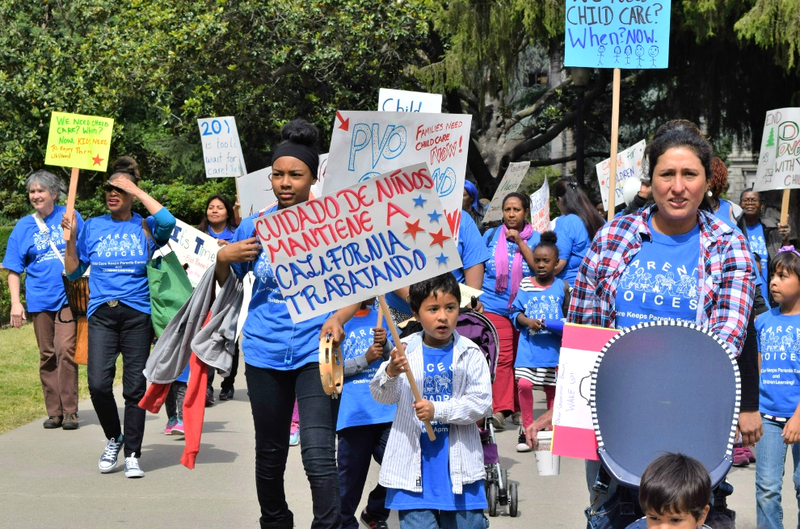 Increase funding for child care so families are not on waiting lists, can access services without enrolling in CalWORKs, and gaps in service provision are minimized. Train prenatal doctors to inform parents about child care options and connect them with social services and child care resource and referral agencies. Allow parents to sign up for a child care subsidy when they are 6 months pregnant. Allow for automatic child care authorizations upon approval of CalWORKs to remove delays in child care access. Clarify or reform migrant child care regulations to not require a parent to move out of the county within 12 months to remain eligible for services. A live streamed video of the presentation can be found here. Our hope is that the thoughts and recommendations from the report will be translated into policies that improve the lives of California families.